One look at Bertie and it’s evident that he’s a continuation of his illustrious bloodlines. More can be read about his outstanding sire at: http://www.belgairn.com/belgairnstorm.html. 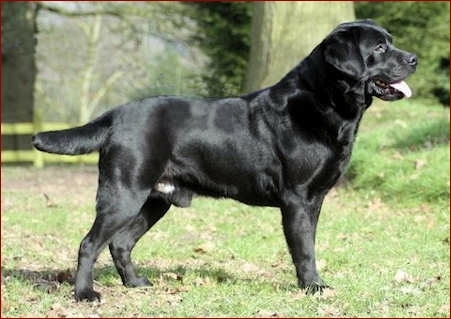 His dam, too, is superbly bred, being a daughter of the famous Sh Ch Stajantor Robin and having a pedigree strongly influenced by Rocheby and Sandylands lines. As the ‘icing on the cake’ Bertie also has the most wonderful temperament - kind, sensible and intelligent. Bertie is now enjoying a happy retirement in a wonderful new home, where he’s enjoying being the centre of attention!